Jordan Catherine Pagán is a healer and medicine maker of Ostara Apothecary. She will create a customized flower essence blend based on your needs and intentions for healing and expansion. Jordan Catherine Pagán is the healer and medicine maker of Ostara Apothecary, based in Brooklyn, NY. Jordan creates plant and stone medicine to heal on multidimensional levels, drawing upon her Yaqui and Puerto Rican heritage and connection with the natural world. She is a Reiki Master, a 13th Octave LaHoChi Master, and also practices Pranayama Breathwork and Tarot as tools for soul transformation. 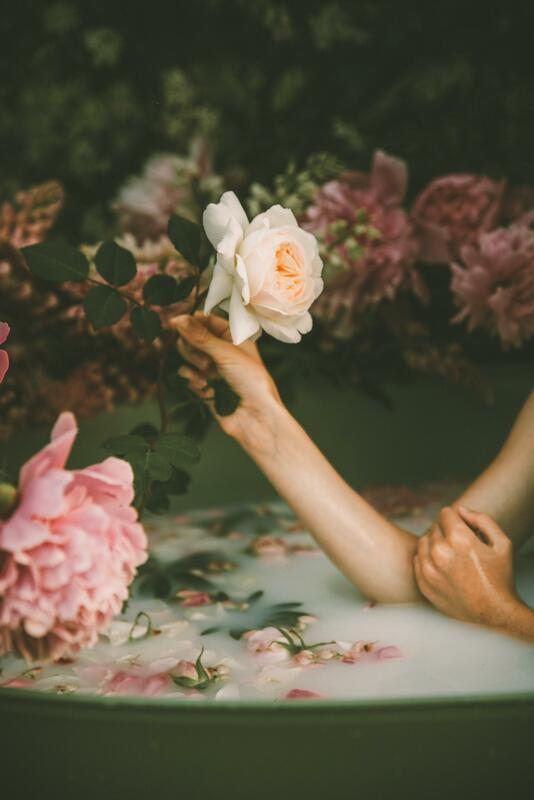 A follower of the flowers, she finds a way to incorporate them into every one of her sessions, using fresh flowers and her own handcrafted flower essences. Jordan leads monthly Breathwork healing circles and herbal medicine classes around NYC, and maintains a private practice.